The world of cryptocurrencies and blockchain technologies is slowly beginning to permeate the traditional finance market, and Arabs are willing to become references for other actors by using these technologies in large-scale operations. 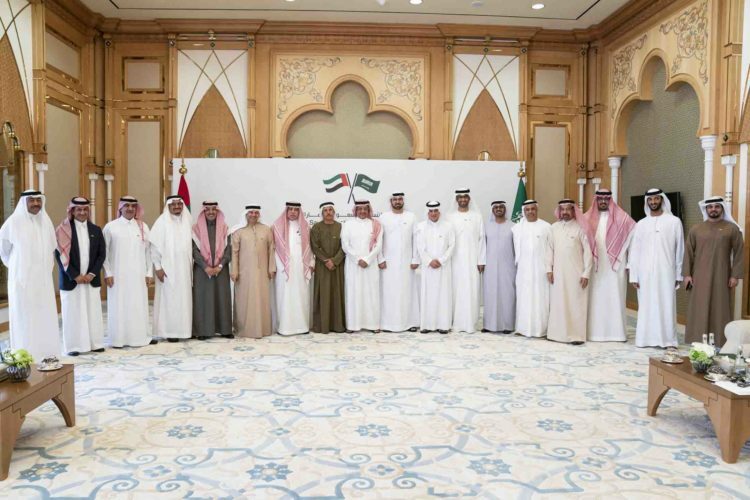 According to an article published by the Emirates News Agency, The Executive Committee of the Saudi-Emirati Coordination Council announced a few hours ago the results of its first meeting in Abu Dhabi, in which they addressed strategic issues for regional development in the economic, social and military fields. The committee, composed of 16 members from both countries and headed by Mohammad bin Abdullah Al Gergawi, Minister of Cabinet Affairs and The Future, from the UAE side, and Mohammed bin Mazyad Altwaijri, Minister of Economy and Planning, from the Saudi side, announced seven joint initiatives, which will be implemented throughout the course of 2019. Experimenting With Blockchain To Issue an Official Interbank Cryptocurrency In economic matters, they decided to experiment with blockchain technologies to facilitate financial operations between the two countries. Until now, the team did not provide further details on the characteristics of the project. Being only a first draft it is difficult to have a clear idea of how it will work, but there could be some speculation taking into account the purpose of the announcement. Being a joint initiative, it is very likely that both central banks will function as fully validating blockchain nodes and that the traditional banks of each country will, in turn, have nodes of inferior hierarchy used for the processing of transactions. The blockchain will be private, so the general public will not have the possibility to access the information, still, being a centralized blockchain, it is likely to be designed to allow the reversal of transactions in case central banks need it. Up to now, it is not known when the first tests will start, however, there are certain advances since the central banks are somewhat familiar with blockchain technologies developed by Ripple, IBM, and ConsenSys, which gives them some fundamental knowledge of the xRapid, Hyperledger and Ethereum platforms.